This is Kirill Karabits second release on the Chandos label and he continues his exploration of lesser known composers from former Soviet Union countries¹. On this occasion we are treated to music that is very close to the heart of the native Ukrainian Karabits. Boris Lyatoshynsky, who died in 1968, was one of the most distinguished Ukrainian composers of his time, and did much to establish a flourishing musical life in Kiev. Like that other Soviet composer of the time, Shostakovich, Lyatoshynsky’s works were subject to official criticism and subsequent revisions. On this recording we have, arguably, two of Lyatoshynsky’s greatest works; namely his third symphony and Grazhyna, written in 1955, based upon a poem, by one of Poland’s greatest poets Adam Mickiewicz that tells the tale of a female Lithuanian chieftain who fought against the Teutonic Knights and was eventually slain. Both of these works were performed in The Lighthouse, Poole; how fortunate are the residents of Dorset to have such adventurous concert programming? Lyatoshynsky’s Symphony No. 3 in B minor, Op. 50 is a substantial work, written in four movements, lasting around three quarters of an hour. It carries carries a subtitle “Peace shall defeat war” and is dedicated to the twenty-fifth anniversary of the October Revolution thus giving the listener some idea as to what they should expect. The work opens in a foreboding manner prior to the introduction of an allegro (that hints of Miaskovsky perhaps) and we get a mixture of celebration and gloom before being treated to a romantic string melody that leads to a tremendous climax on the horns. The second movement andante is more tranquil, soulful and thoughtful before the sounds of the military take over. The six minute Allegro feroce contains savagery tempered with lyrical moments. Karabits opts wisely for the original final movement, that was dropped due to official criticism², and for me this is the best part of the symphony. In the final minutes the Ukranian song, that was introduced in the opening andante maestoso, returns combined with brass and bells conveying an overwhelming sense of triumph. 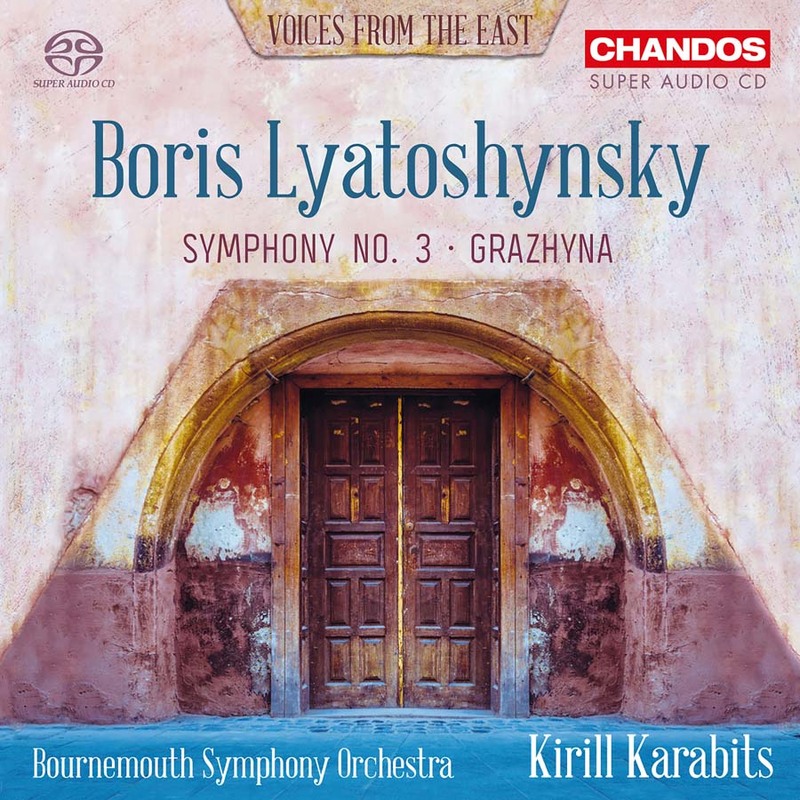 Both of these works show that Lyatoshynsky was a highly effective orchestrator and his intentions are superbly realised by the members of the Bournemouth Symphony Orchestra under the direction of Kirill Karabits. All of this has been remarkably well recorded by Andrew Walton and Ben Connellan who are to be congratulated on producing such a good sounding CD in what is undeniably a far from perfect acoustic at The Lighthouse. If you don’t know these works them I urge you to explore them. This CD represents a good introduction to the orchestral work of Lyatoshynsky and the recording of the symphony, is by some margin, the best available of this work. A wonderful addition to the recorded catalogue and one which can be recommended as our Collectors’ Choice for January. ¹ His first was a highly pleasing set of performances of works by the Azerbaijani composer Kara Karayev who spent time in his beloved city of Baku as well as in Moscow. ² There is room on the CD for the subsequent version to have been included a swell and this would have been useful for comparative purposes.